International Private Banking Systems (IPBS) is a broad spectrum solution provider of wealth management for international financial services institutions. IPBS is highly automated functionally and ensures maximum efficiency and cost effective operations by taking a single source transaction and automatically updating all relevant positions across the enterprise. K3A provides a full featured integrated development environment called the K3A Design Studio, supporting access to all application development tools from a single integrated environment. 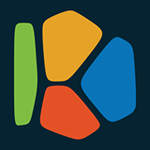 Kapowai Online Banking is a multifunctional remote banking system that allows individuals and entrepreneurs are able to quickly and securely manage cards and accounts, make transfers, open deposits and repay loans, pay for services, obtain currency rates, find ATMs and branches, perform independent control over their expenses with PFM. 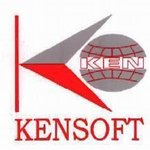 KEN-CBS (Kensoft's Core Banking) is a seamlessly integrated & comprehensive Enterprise ready banking solution. Keybank is an integrated landing platform,encompassing accounting ,multi-currency and ,multi-branch capabilities, and more. Metabanka is a ready-made multichannel banking platform that takes all the mystery and complexity out of financial product management. Microgen G3 is a private banking and investment management system designed for the needs of international private banks operating both on and off-shore. Moneyman is a core banking system, that features include opening new accounts, making and servicing loans, processing cash deposits and withdrawls, precessing payments and cheques, etc. Naqoda Banking Platform has applications up and running in minutes, can easily adapt to meet users needs, and built using a micro-services architecture. The Naqoda Banking Platform has been designed to keep up with your requirements in the years to come. NexorONE® is a Robust, Flexible and Scalable Online Banking Platform with a broad diversity of modules to serve different financial institutions. The system can also be used to adapt to your specific business needs, serving transaction management, as a payment platform, for international wires or just as customer interaction and messaging solution. NLS Banking Solutions is a leading global development and technology services company, delivering development consulting and systems integration to clients in the banking industry. NovoDoba is a series of integrated, functional Services/Modules that enables financial institutions to place their customers at the center of their business strategy. Nymbus Core Banking is a modern, holistic system that includes core processing functionality, an impressive suite of applications and the hardware and network infrastructure to power it all. OLYMPIC Banking System is an interactive banking information system that incorporates front and back office, monitoring tools, and a communication system. Opium.eBanking is a complete digital banking platform, a unique architecture to handle automatically all the security and functional/technical standards. Portfolio Plus integrates with CANNEX enabling you to manage each stage of the term deposit broker purchasing cycle. Institutions can, for example, design and create data screens, create user-defined inquiries for data mining, automate tasks, develop interfaces with other systems, and integrate data from multiple sources. DisclosureTrack is the fast, easy, and cost effective way to identify responses and changes in periodic public disclosures and filings like Form ADV. PULPS provides banks with a competitive advantage through better pricing of their commercial loans. It allows you to increase your profitability of your commercial loan portfolio by optimizing your loan rates and terms. PEView is a back-office reporting and productivity solution. RISQUE is a cross-asset trading and risk management solution that enables investment banks to implement true straight-through processing across all of their trading activity. Rubikon can be a complete universal banking system or a series of modular applications/ services to cater the specific needs of your business. Rubikon offers an integrated range of solutions that increase efficiency, customer loyalty and help banks thrive in the digital world. SBS provides AML and compliance solutions that enable institutions to identify, assess and manage enterprise risk. Reaching across business silos, SBS solves key Know Your Customer (KYC), Customer Due Diligence (CDD) and Enhanced Due Diligence (EDD) issues to find the bad guys. Savangard PSD2 Solution is a flexible and secure platform compliant with the Polish API standard. Enables quick and cost-effective implementation of open banking. Savangard PSD2 Solution integrates the current system and functionality with a new scope of services and thus opens new opportunities for the bank. And all this in full compliance with PSD2. Savings Plus is a Banking software that handles banking transactions (deposits, withdrawals), loans, and many other records for Microfinance (MFIs), Village Banks, Wholesale Microfinance Institutions (MFIs), Savings and Credit Co-Operatives (SACCOS) of any size. Customer relationship data analytics platform for financial institutions. SCAD Credit is a STP fulfillment processing and credit application approval system for all business types. Scorto Behavia is a solution for customer relationship management through scoring and analysis. The system is capable of predicting customer behavior on macro and micro levels. Scorto Behavia allows banks to automate reporting for portfolio analysis and Basel II/III requirements, spot trends in customers' behavior, monitor product performance and proactively address churn. SDEMS is a customer platform that delivers to the banks customer all the business services of a bank consistently on all channels. It also delivers sales and service support capabilities to those bank staff whose role is to support the customer experience and relationship. SecurePaymentz is a banking system for business that want to have a bank-like system, administer user accounts, Bitcoin System, affiliate systems, or financial institutions, as well as multi-level businesses. Silicon Valley Bank provide financial solutions and business insights designed for growing companies. Finora is a centralized management system/Bank guarantee software for all your financial instruments. StarCARDMAN is a debit Card and ATM management solution for banks with high volume of transactions. Strands Business Financial Management (BFM) is a white-label solution that enables small to medium-sized businesses (SMEs) to better understand and manage their company finances. Modular financial analysis with financial deterioration reporting, ratio analysis, forecasting, cash flow statements. CPB offers modularly structured integrated complete standard solutions for financial institutions and authorities and covers the whole range of the requirements in the international market. TLM Platform is a multi-product, enterprise-wide solution that forms the hub of Transaction Lifecycle Management. Build financial apps that connect to bank data, verify accounts, and access transactions in real-time. TrustBankCBS is a browser-based solution with core banking, e-banking, and branchless banking capabilities. Designed for banks, credit unions, and trusts, this gives insight into your organization''s profitability. Ultradata delivers technology solutions to the Australian and Asia Pacific financial services market. Union.core helps financial service providers improve market reach and service quality, increase profitability through process efficiency and improve corporate governance by providing a standard approach and deep insights.